The number of Brexit Remain voters has reached a 12-point lead against the Leave camp since the 2016 referendum, the latest YouGov survey has found. YouGov polled just over 1,000 people and found that 56% of voters would choose to remain in the European Union, versus 44% that would vote to leave, excluding non-voters and those undecided. This 12-point lead is the largest since 2016. Similarly, 56% would back a people's vote on the UK's future with the EU versus 43% who would not. YouGov carried out the survey in collaboration with The People's Vote UK, a British campaign group calling for a public vote on the final Brexit deal. The poll was carried out on January 16, just three days before "crossover day," when some experts predicted the UK would turn Remain. Former YouGov president Peter Kellner predicted back in September that remain would likely take the lead as the number of Leave voters decreases by 1,350 per day, simply due to demographics. Writing in The Independent, Kellner said: "Around 600,000 Britons die each year. Polling research has shown consistently that elderly voters backed Brexit in the referendum by two-to-one. We also know that they turned out to vote in larger-than-average numbers." "If we assume a turnout of 80% among people who have since died, then each year the number of voters who die is around 480,000; applying the two-to-one Leave-Remain ratio, we can estimate that 320,000 pro-Brexit voters and 160,000 pro-EU voters die each year." This, he adds, obviously does not account for voters that have changed their minds or those who were unable to vote in 2016 but would be able to now. Despite YouGov's latest statistics and predictions for a "crossover day", a recent ComRes poll for the Daily Express found the majority of the 2,010 people it surveyed (53%) wanted the 2016 vote "to be respected." This was in response to a question about the holding of a second referendum. 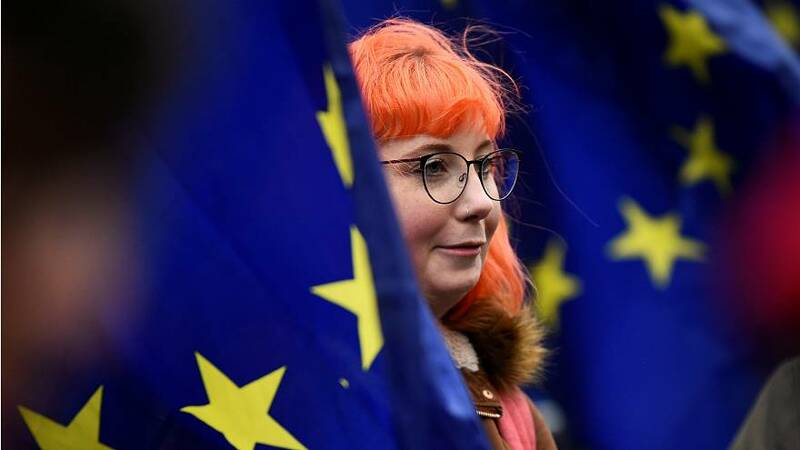 However, the chances of a second referendum before the March 29 deadline were bleak after official guidance leaked to the Telegraph showed it would take more than a year to organise.